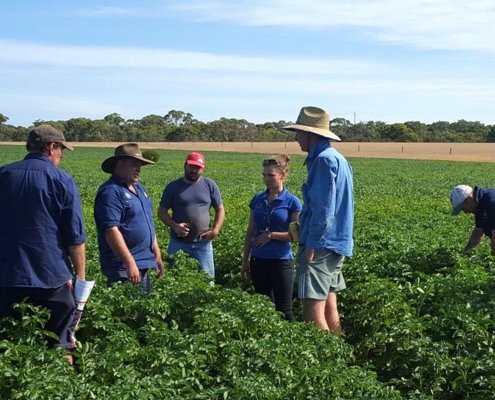 In this project seed potato growers on Kangaroo Island trialled an IPM approach developed with IPM Technologies at a workshop in January 2015. 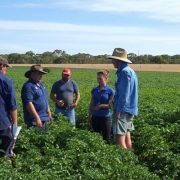 The growers successfully implemented the IPM approach with the help of reseller agronomists Derrick Cameron and David Oddie from DJ’s Grower Services (who provided regular monitoring support and advice) and Paul Horne and Angelica Cameron from IPM Technologies (who provided backed-up expert advice as required). 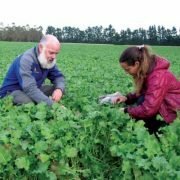 In January 2016 Angelica and Paul visited the island to hold a field day on the property of one of the potato growers who participated in the trial during the 2015/16 season. 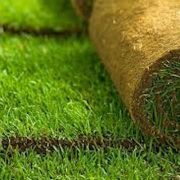 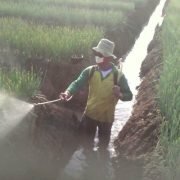 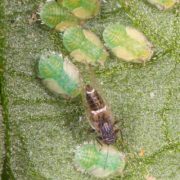 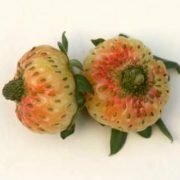 The results were excellent: good control of insect pests with minimal use of ‘soft’ selective insecticides and no use of broad-spectrum insecticides in the life of the growing crop. 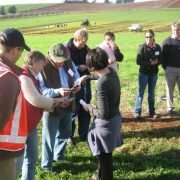 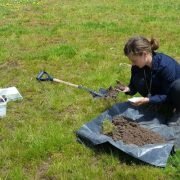 Angelica led the field day, describing the approach and demonstrating how naturally occurring beneficial species were present and were playing an extremely important role controlling the major pests (potato moth and aphids). 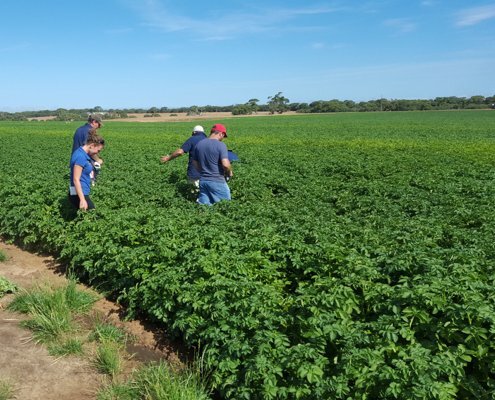 The field day was supported by DJ’s Growers, Bayer and Stoller and was attended by the majority of the island’s seed potato growers and other interested individuals. 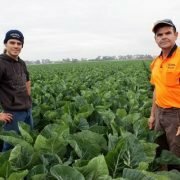 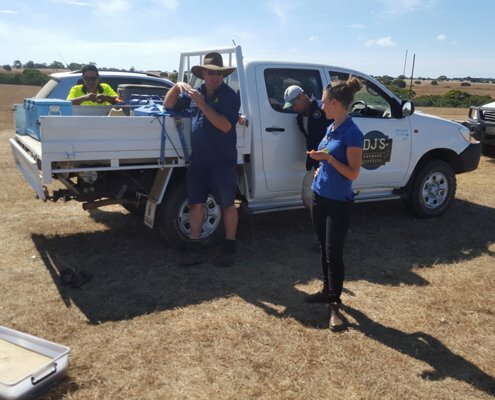 As an outcome of this project, the vast majority of seed potato growers on Kangaroo Island have now adopted IPM and are successfully implementing this approach, with ongoing support from DJ’s Growers agronomists and back-up expert advice from IPM Technologies.